The perfect viewing experience, right in your own home or patio! Need a TV over the fireplace, but don’t have a way to fish wires? If there is power available, we have wireless HDMI solutions for short distances. Want a TV in a formal room, but don’t want to see it? We have artwork solutions that allow the art to be “rolled up” so the TV screen appears in its place. Can’t find a wall to place your TV on, such as in a bedroom? 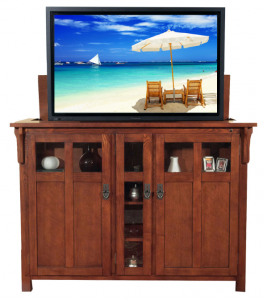 Ask us about our custom TV lifts where the TV is hidden inside a cabinet and “pops out” when you want to watch. Want to hide AV equipment inside a closet and just see the TV on the wall? We have plenty of solutions. Want a TV outside by the pool or hot tub but don’t want anyone to get shocked or hurt? Get one that is rated for outdoor use year-round that is waterproof and has a built-in heater. When it comes to new TVs, Automated Lifestyles can supply and install them for you. Our preference is Sony, but we also carry Samsung and LG. Our prices match big-box stores (in some cases we are even less); yet with us your installation is done by experienced industry professionals. For outdoor TVs we carry SunBrite, found at ski resorts and waterparks worldwide. When it comes to TV installation Automated Lifestyles cannot be beat for price, custom solutions and total service…we deliver! 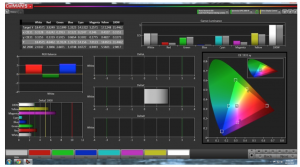 Do you need TV calibration on a NEW TV? Yes. Here’s why: With TVs side-by-side, consumers tend to buy the TV with the brightest picture. Manufacturers know this, so they increase the contrast and blue levels to achieve the brightest picture possible. Skin tones will look pale, sports fields appear lime green and your eyes are telling you that something just isn’t right on the new 75” TV that is supposed to wow you. This is when you know that a professional TV calibration is necessary. Chuck and Larry are certified by the Imaging Science Foundation (ISF) and THX to deliver stunningly realistic TV calibrations. We recommend it on all main TVs in your home. Besides making the image appear more real, there are other benefits. The TV will likely last longer, since it won’t be operating at 100 mph, but rather the speed limit (less wear and tear). At night, your eyes will thank you, because the TV won’t be too bright—which causes eye fatigue. Calibrations actually need to be done in the environment in which they reside (depends on the amount of ambient light, too). 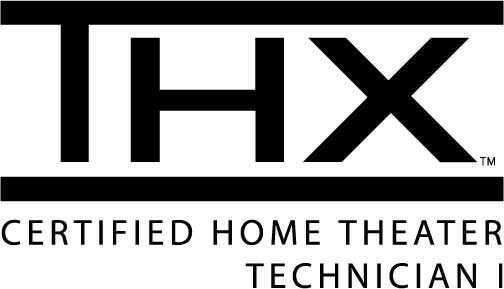 Sound: Most TVs tend to have poor audio quality with thin bezels, so we recommend a sound bar professionally-mounted below your most-watched TVs. Apps: Many models support various Android apps, allowing you to view your surveillance cameras or photos from your smartphone/tablet directly on the large screen TV as long as your TV is on the network. We can make that happen. Why We Prefer Sony: Sony TVs are praised for their color accuracy, resulting in a smooth, natural picture. For side angle viewing, there is no comparison to other brands. Sony TVs perfectly handle motion without any blur. They also do an amazing job of 4k upscaling. We have the “eye for design” to ensure that your TV looks great on the wall. Automated Lifestyles guarantees you won’t see any wires (we don’t like seeing them either). In some examples, as shown above, we can even make your TV disappear behind artwork, a mirror or inside a cabinet. 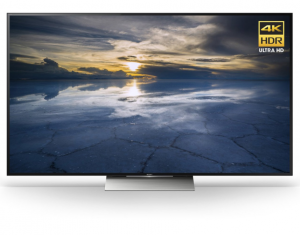 With our knowledge and experience we can help you select the proper size TV for your room, professionally mount it and calibrate the picture so it looks amazing. We can hide all equipment “boxes” inside a cabinet or closet so all you see is just a TV on the wall (you can use iPad or custom remote to control your equipment).